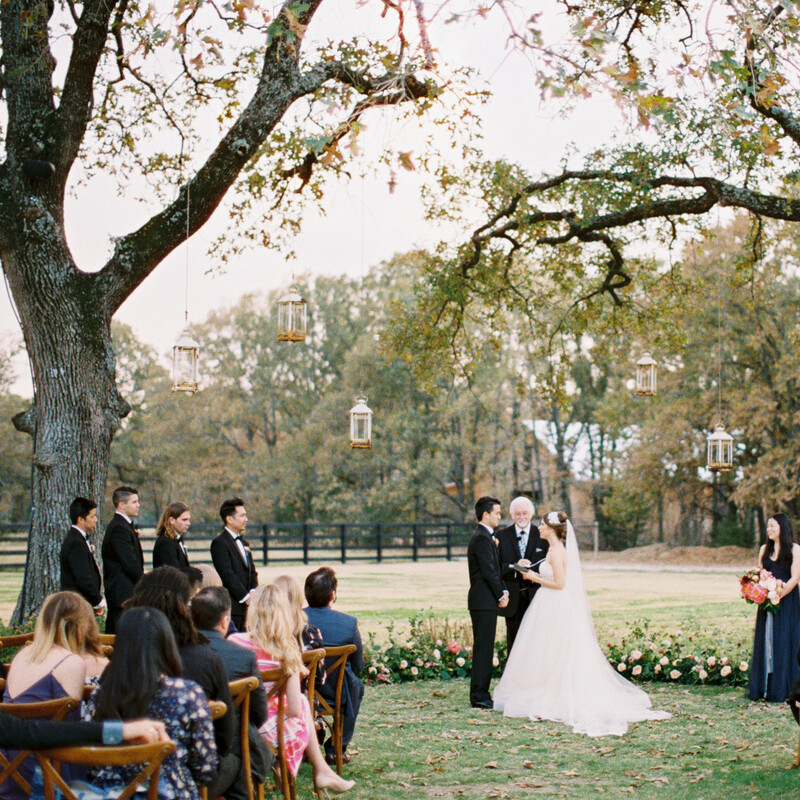 Wedding photographer Anna Smith had photographed more than 300 weddings when the time came to plan her own November 16, 2017 nuptials to Michael Pham. 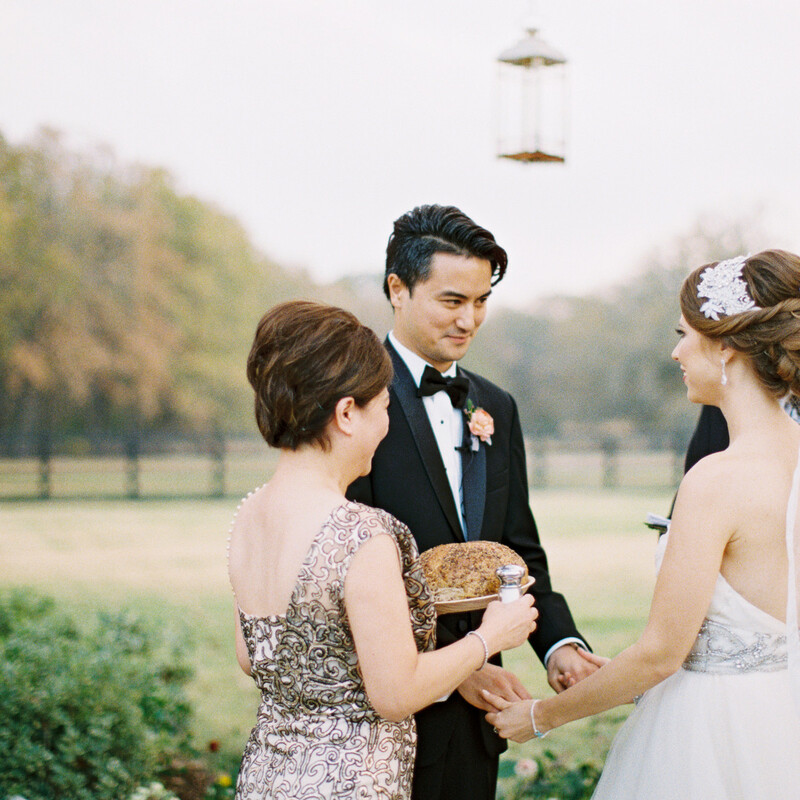 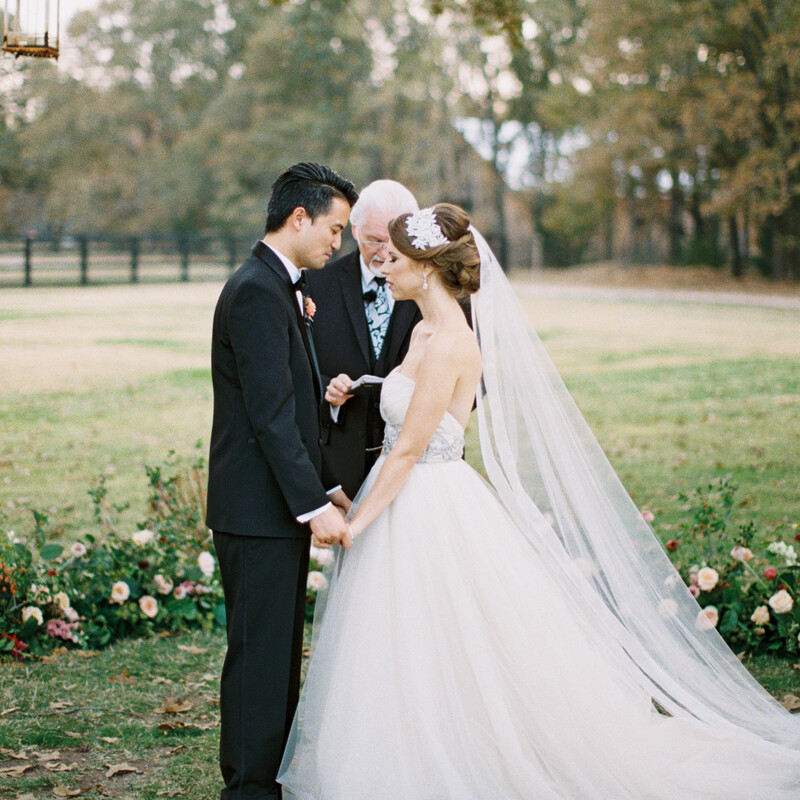 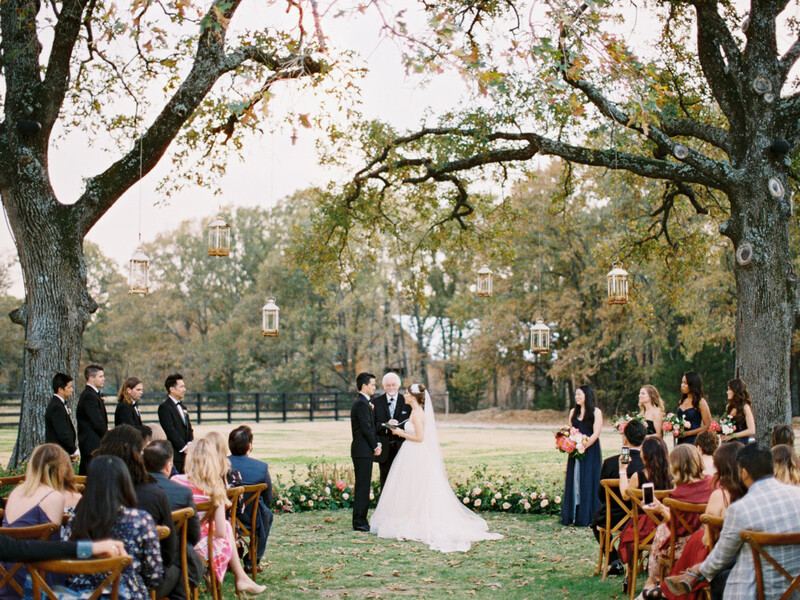 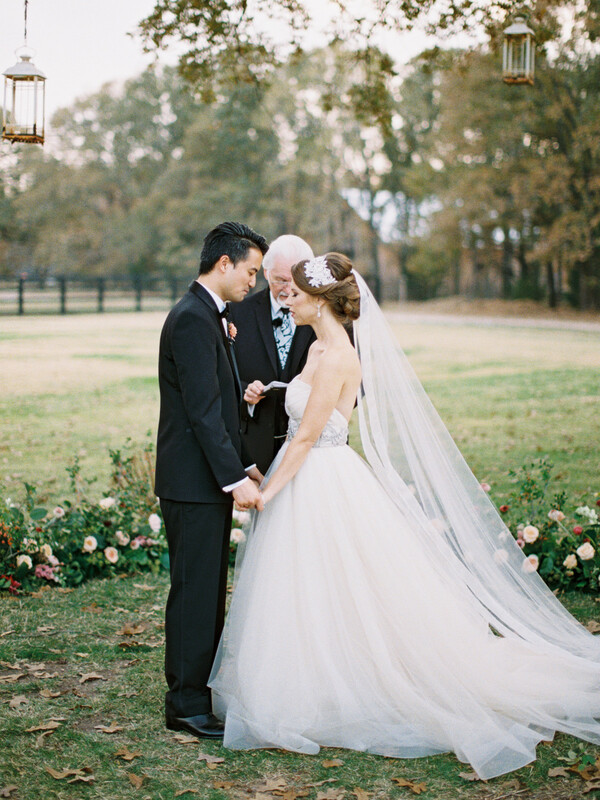 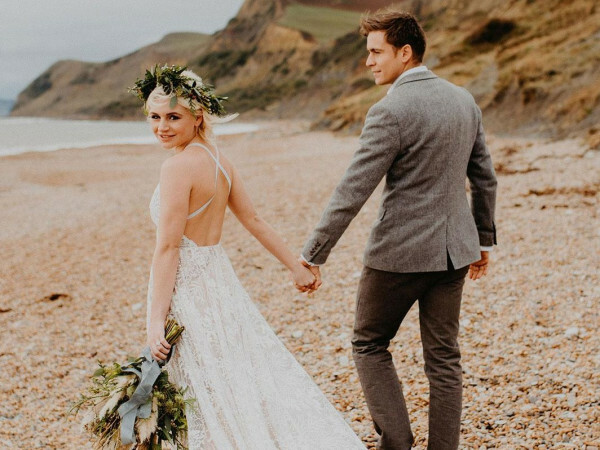 Having witnessed so many weddings up close, she had a clear idea of what she wanted for her big day. 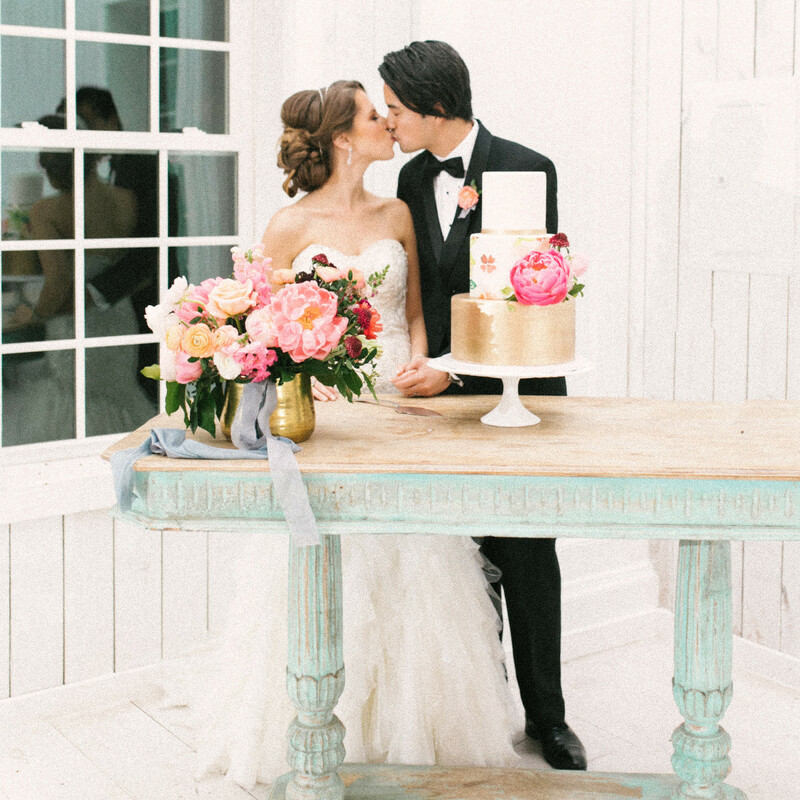 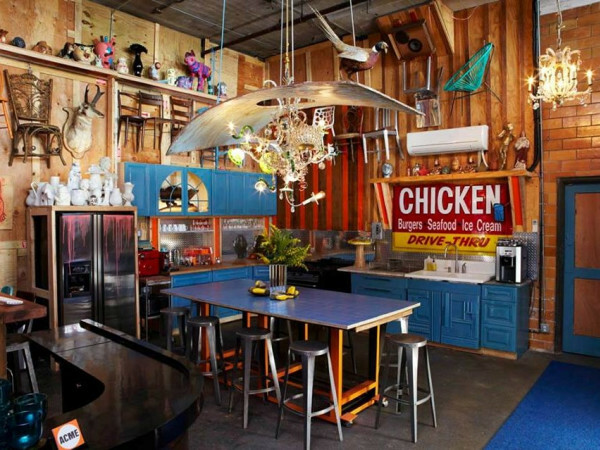 First and foremost: a bold, bright color palette and an air-tight timeline. 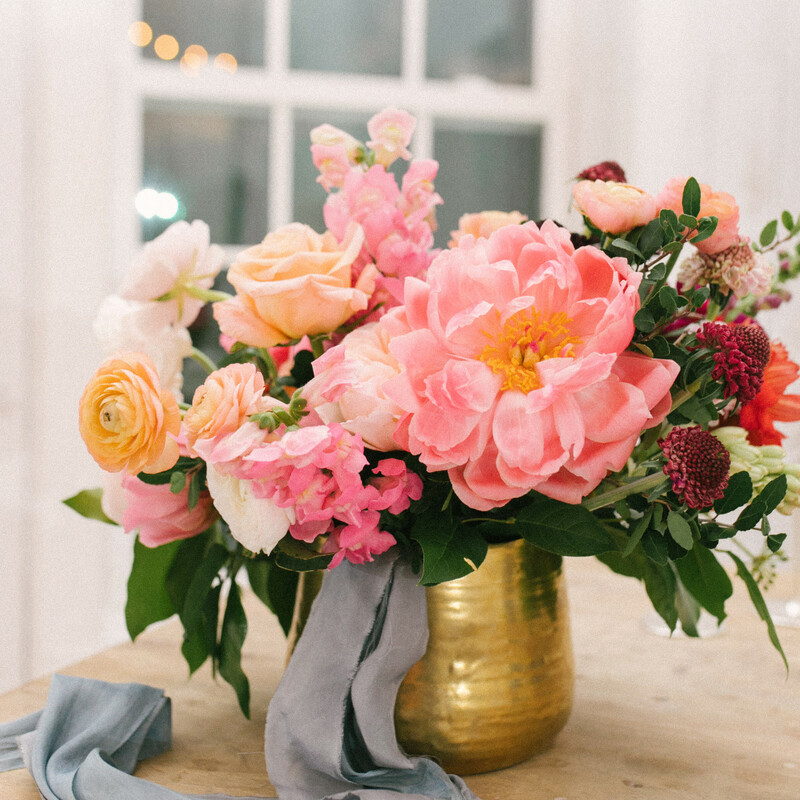 Smith had seen firsthand how things can go amiss without proper planning, so she called in event planner Elisabeth Landry of Silver Linings Events + Co. as a reinforcement. 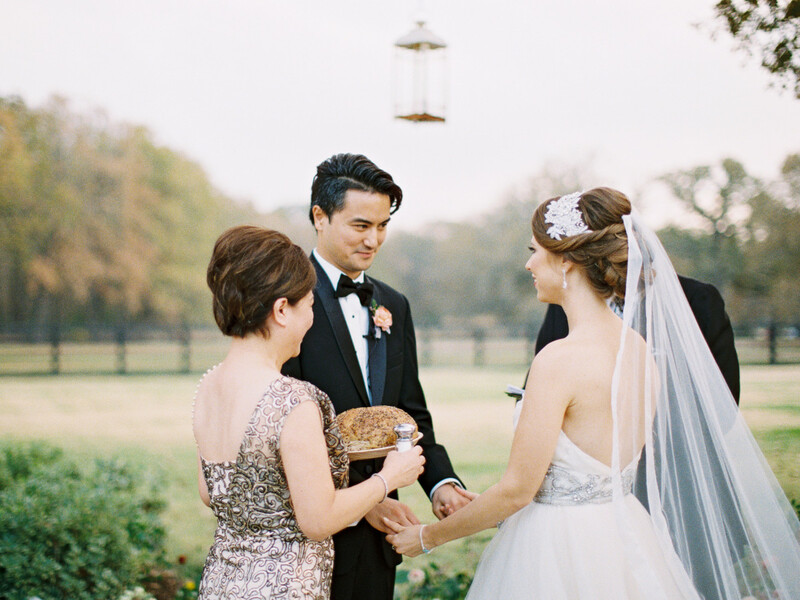 With Landry’s help, Smith and Pham brought their vision of a classy-but-bright and modern-yet-timeless event to life. 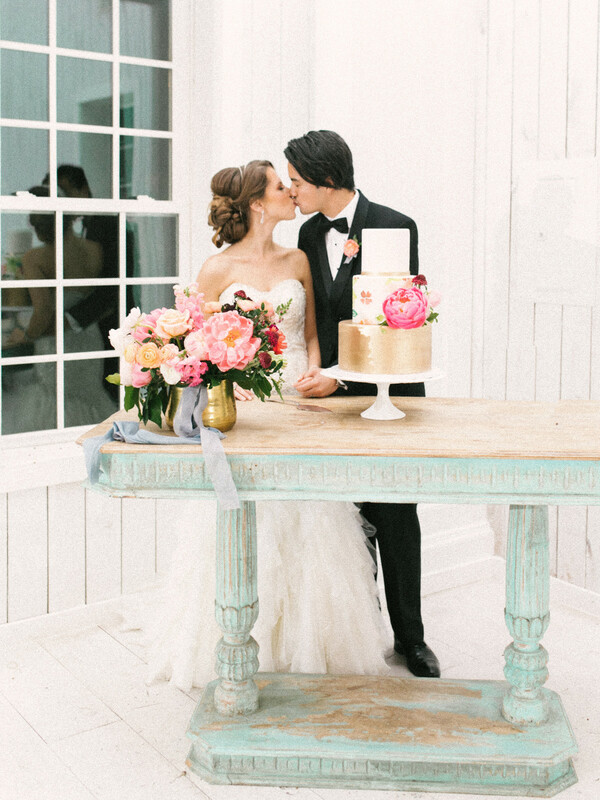 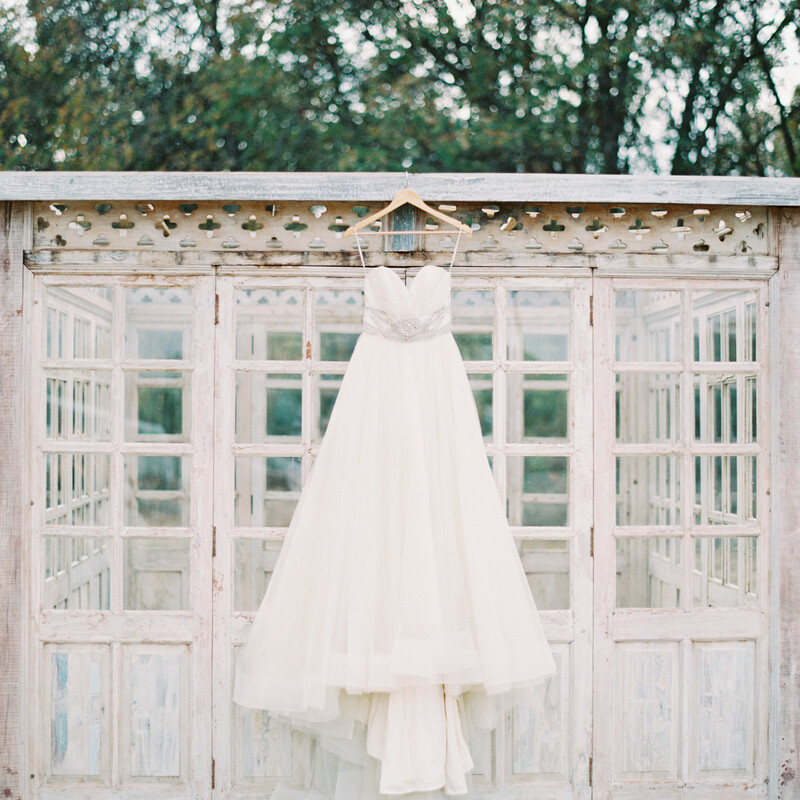 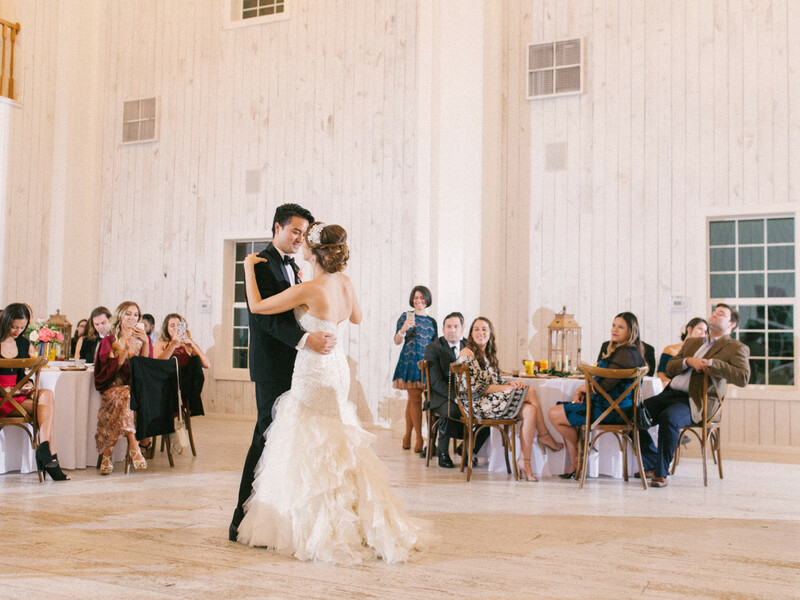 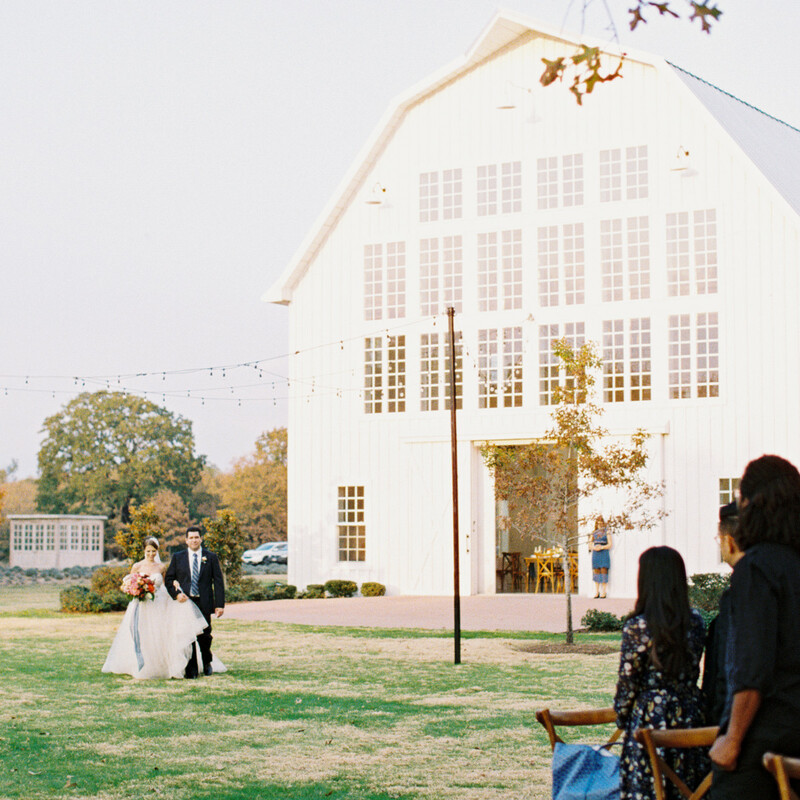 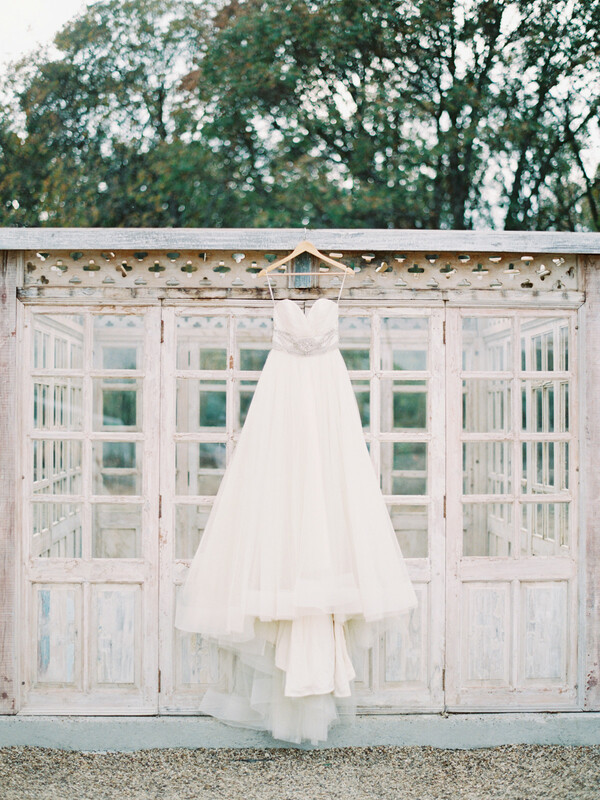 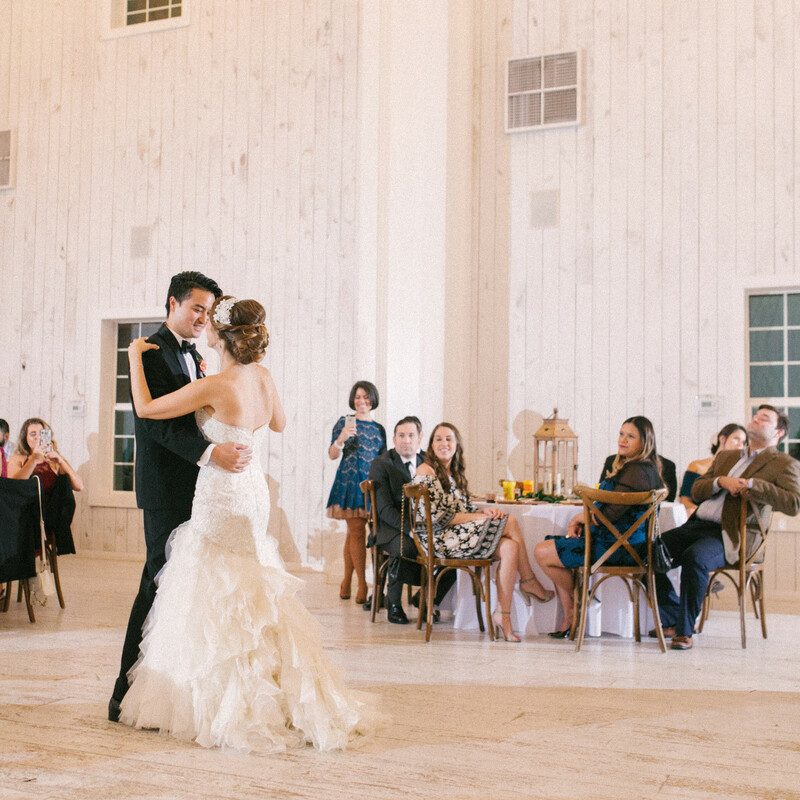 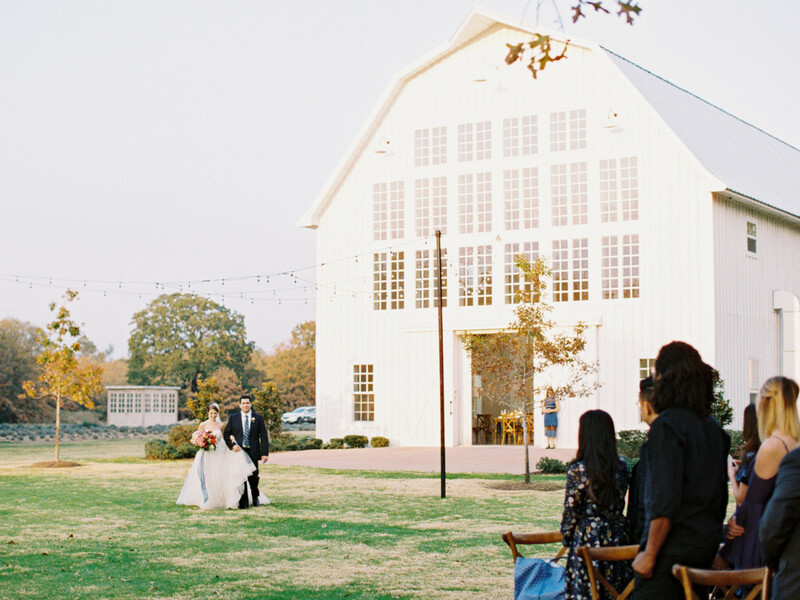 They chose The White Sparrow, a dreamy white barn in Quinlan, just east of Dallas, for the backdrop. 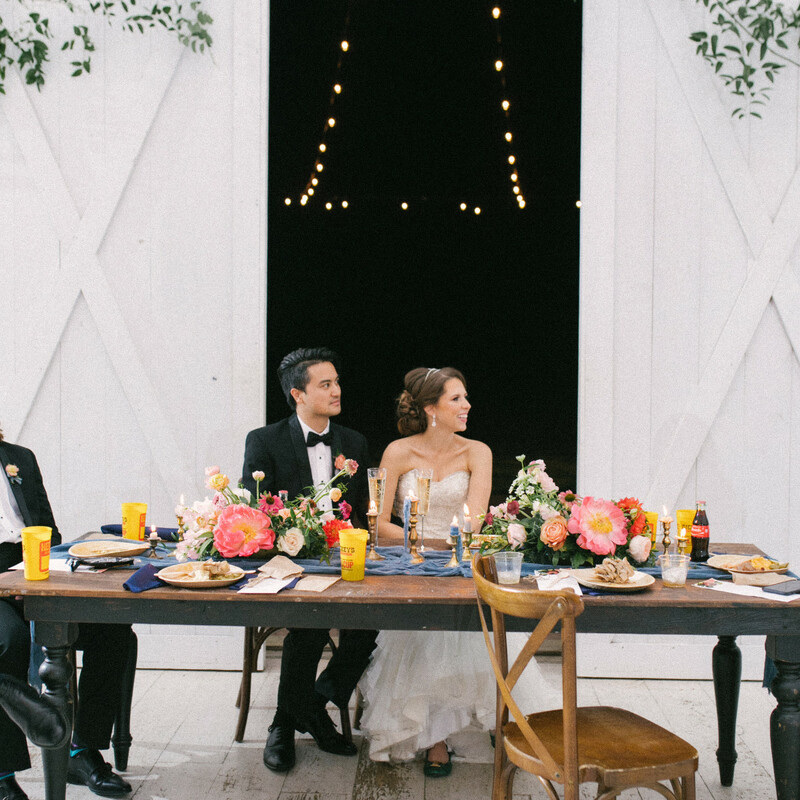 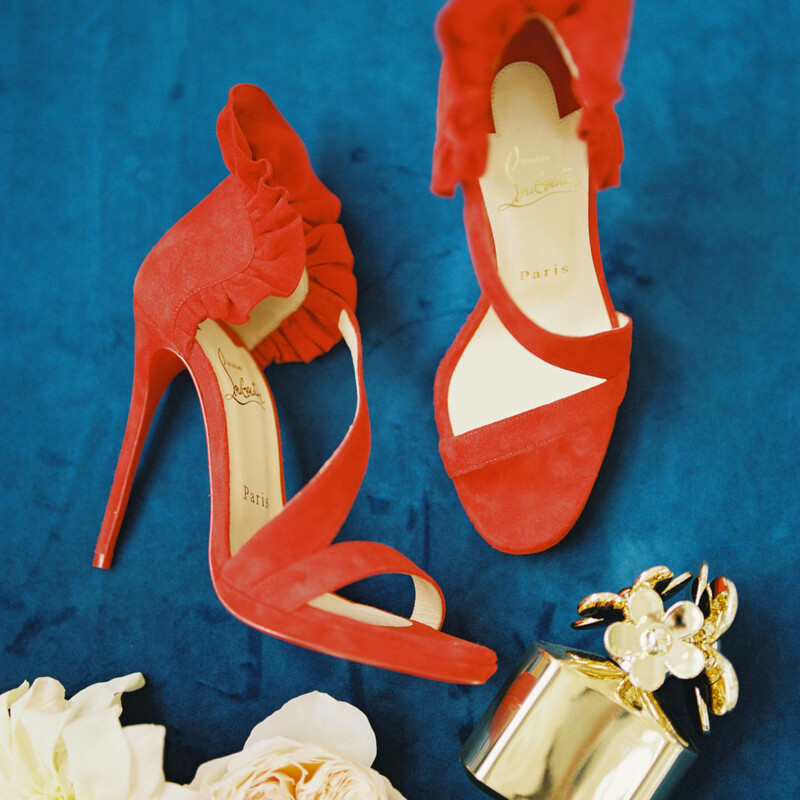 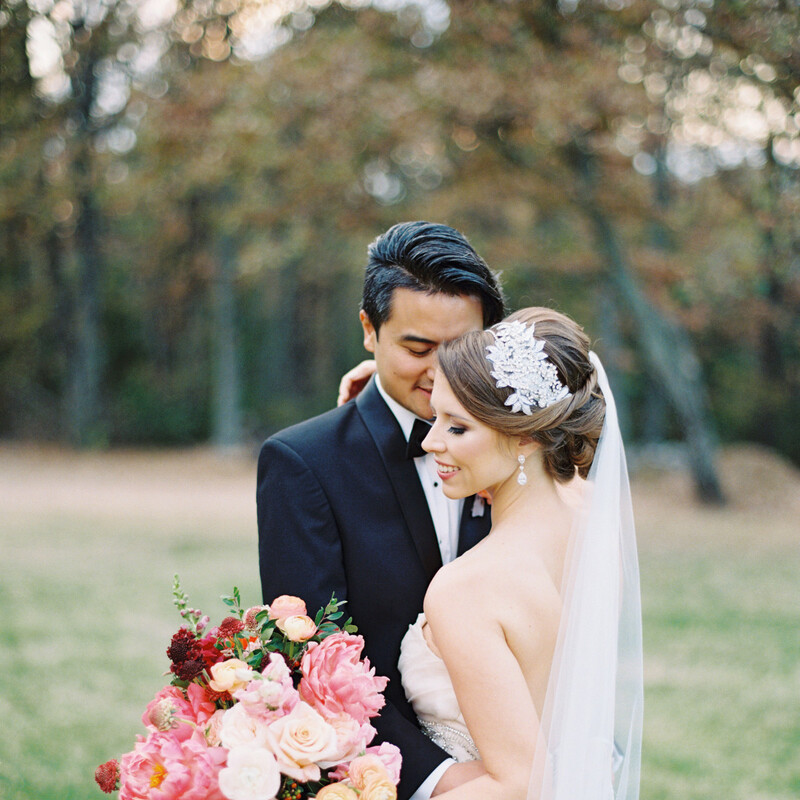 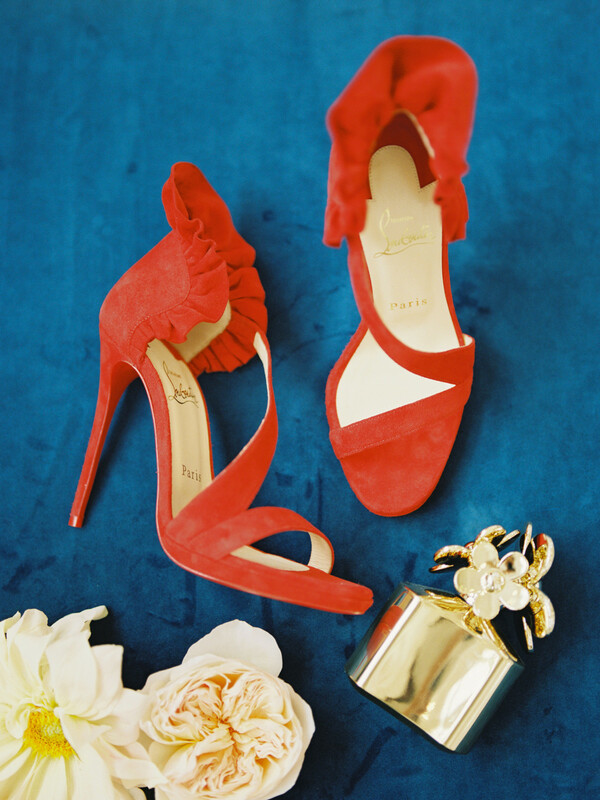 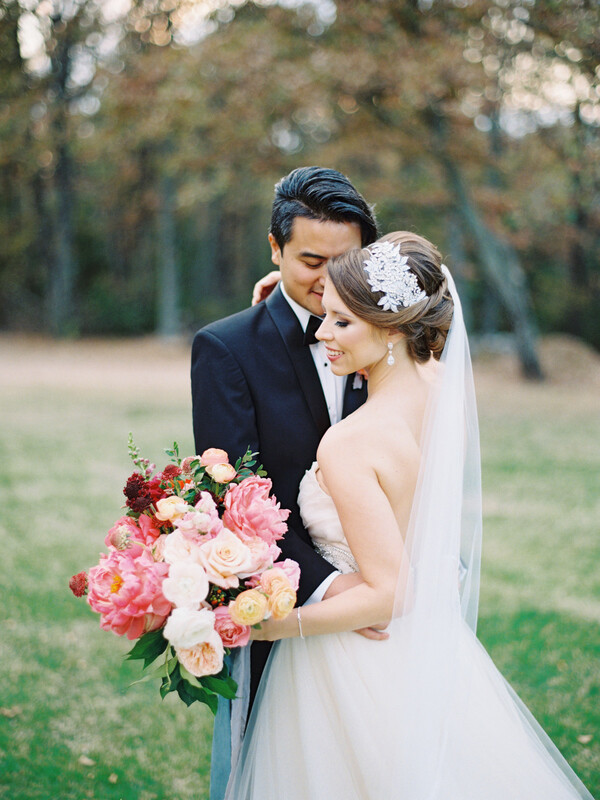 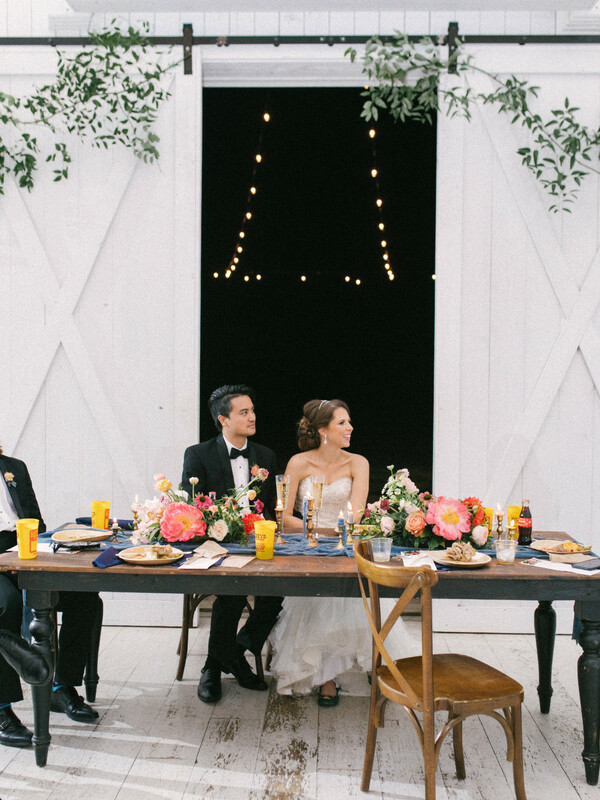 Bold bouquets featuring pops of red, pink, and navy colored the space. 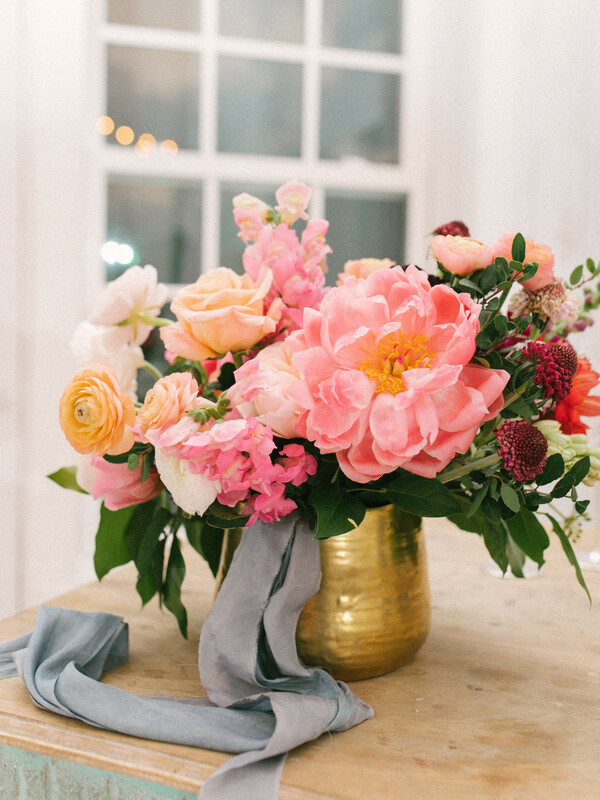 Everly Alaine Florals combined garden roses, peonies, and dahlia for bouquets and floral arrangements, and adorned the venue’s staircase with foraged greenery and berries. 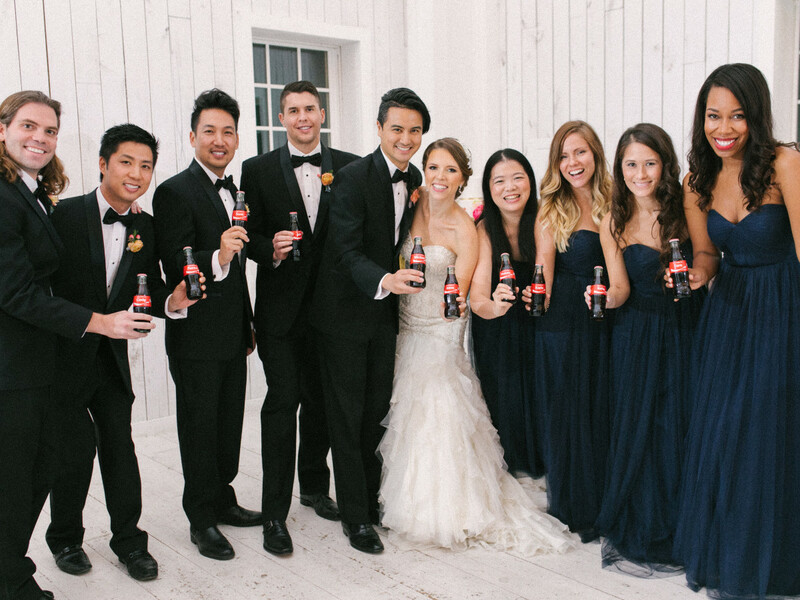 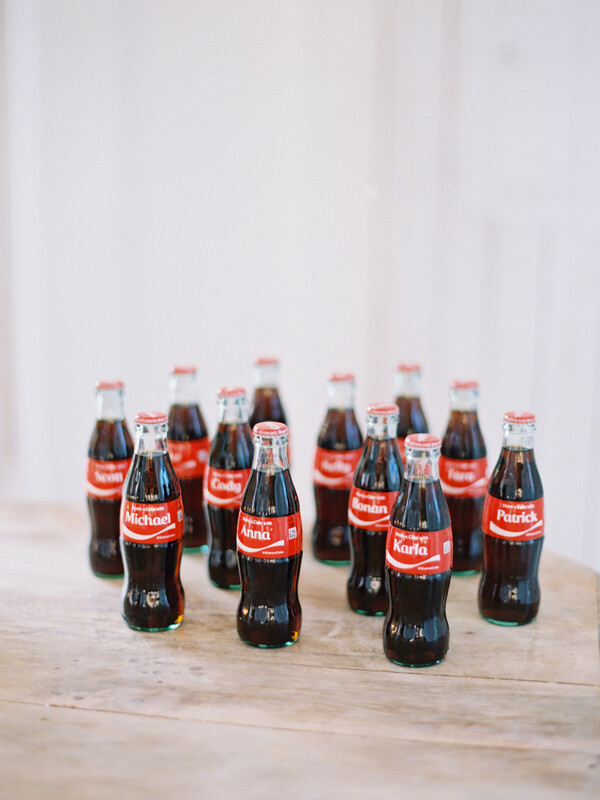 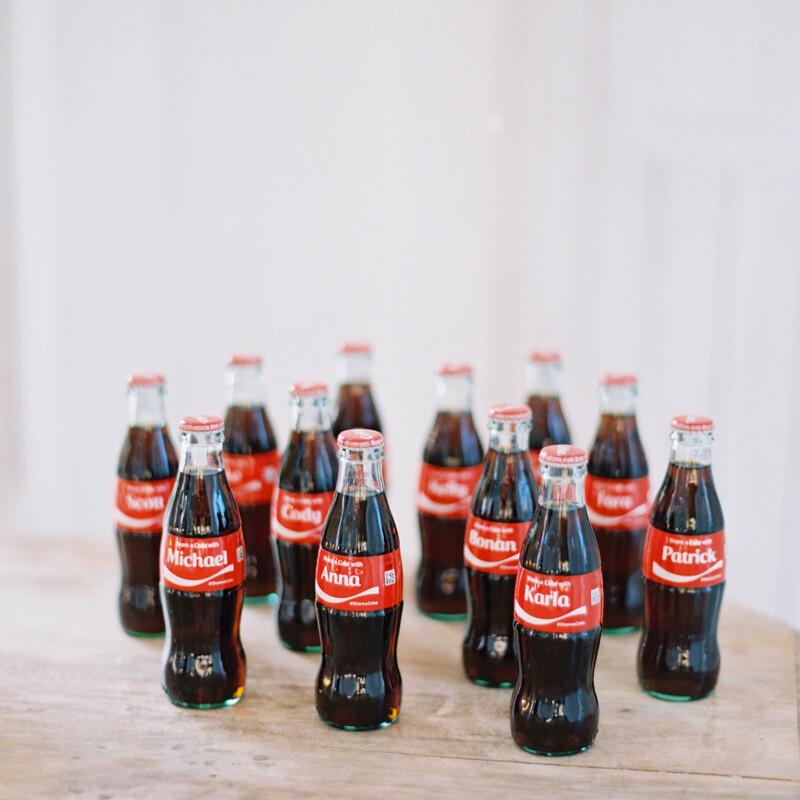 Following a quaint outdoor ceremony, the newlyweds and their guests moved indoors for the reception, where classic Coca Cola bottles played into the color palette — just one of the many special touches the couple incorporated throughout. 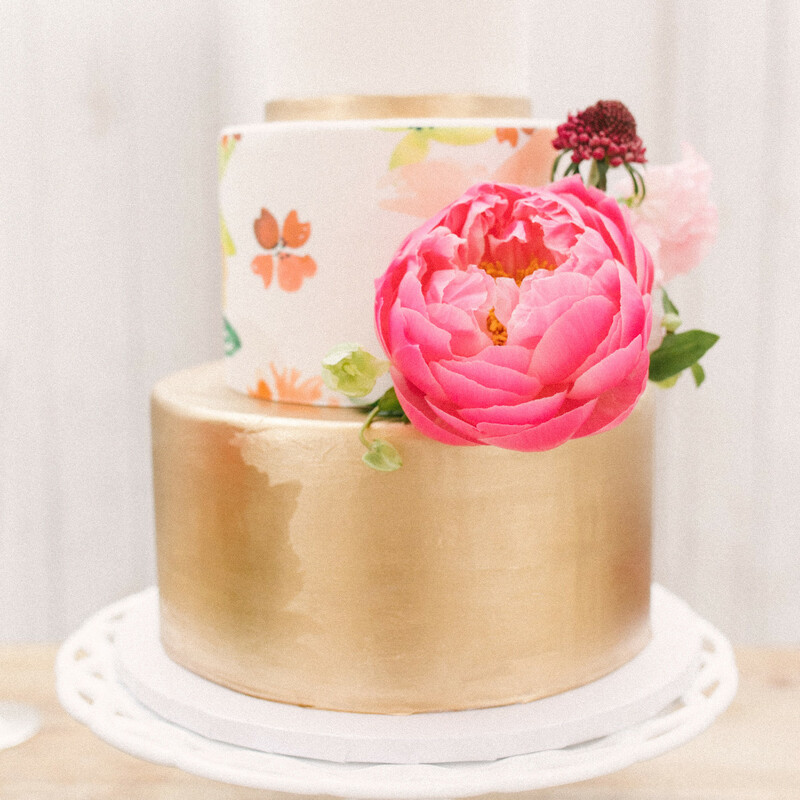 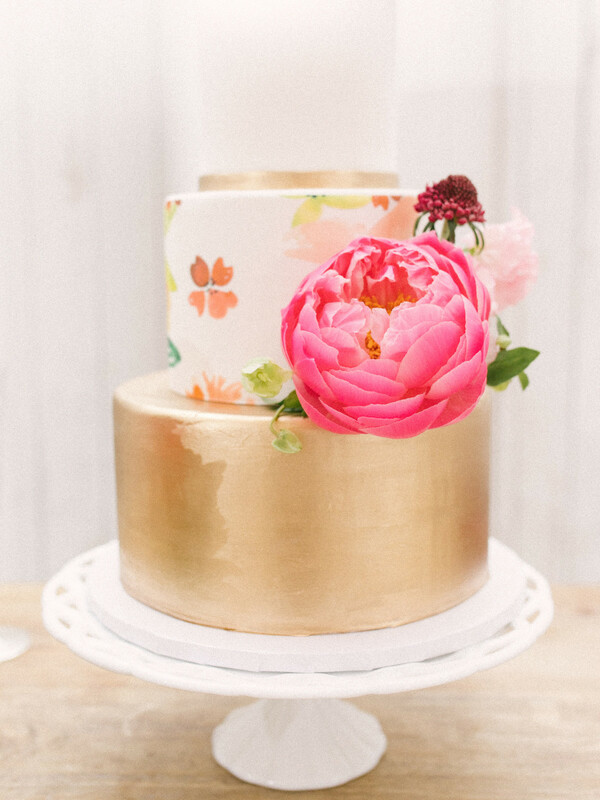 Their gold-foiled and floral-printed cake, which was created by Sugar Bee Sweets, was a piece of art all its own. 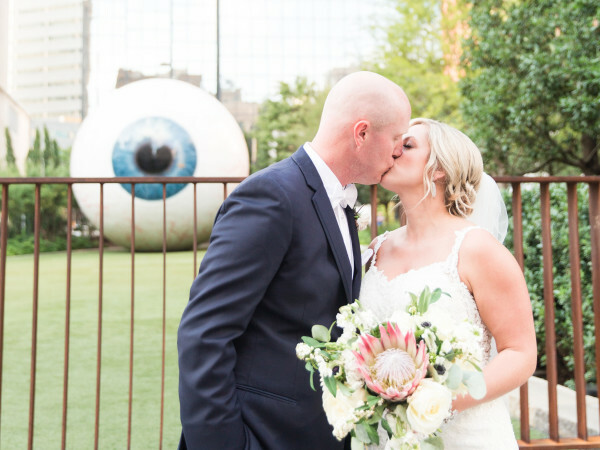 Stunning as the decor was, the bride says her favorite part of the big day was the quiet moment she shared with her husband-to-be just before the ceremony. 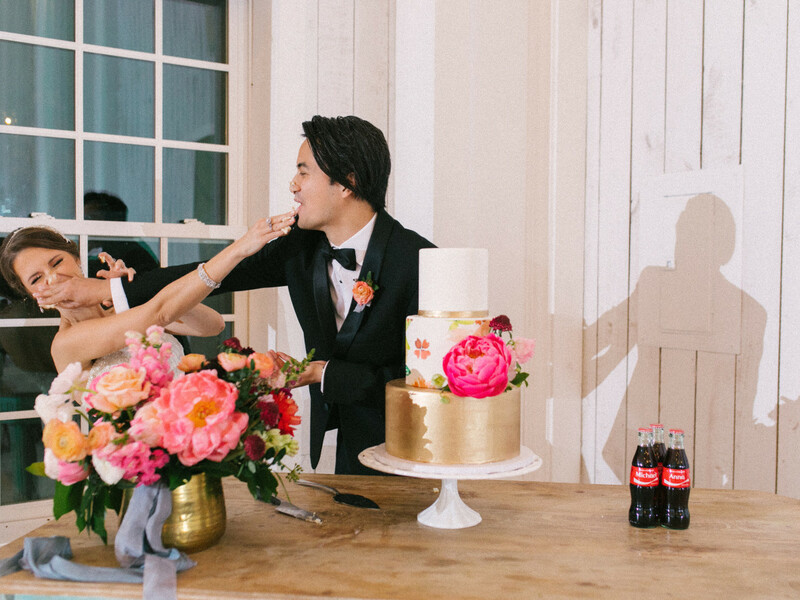 For their first look, Smith and Pham opted to share a private moment, quietly exchanging vows. 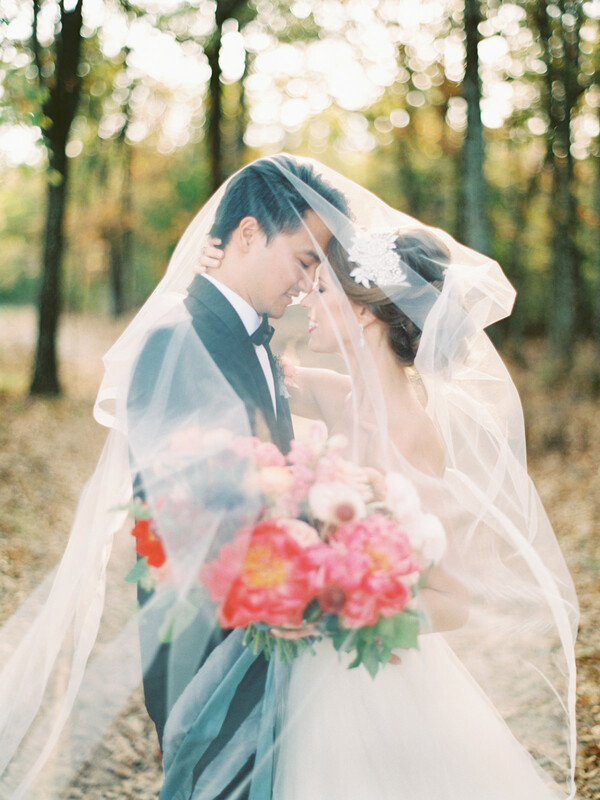 Pro tip, says Smith: A first look allows couples to build more time into their day for portraits. 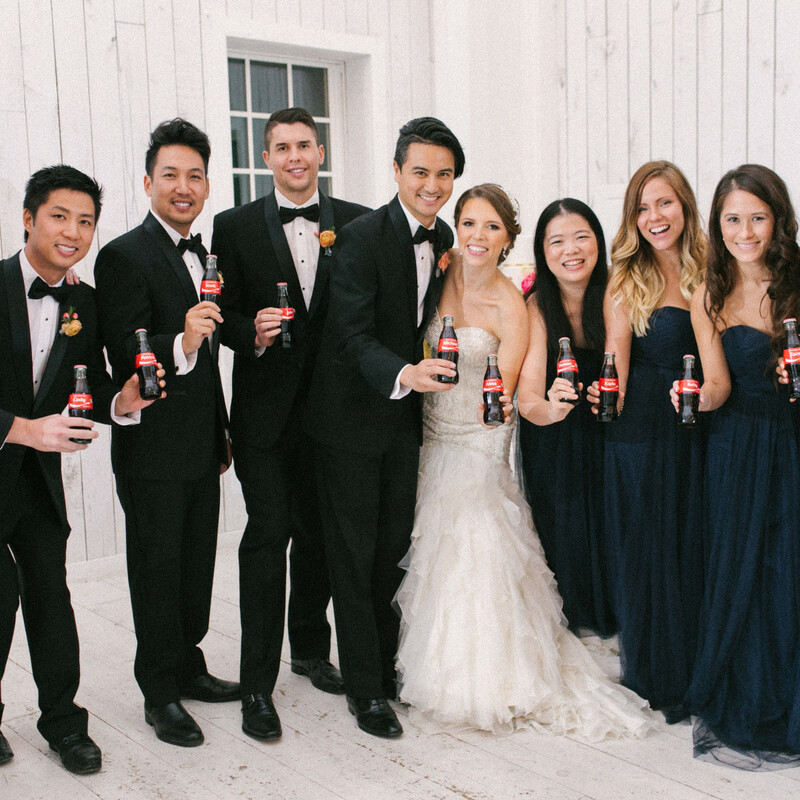 One other bit of advice: Assemble your team wisely. 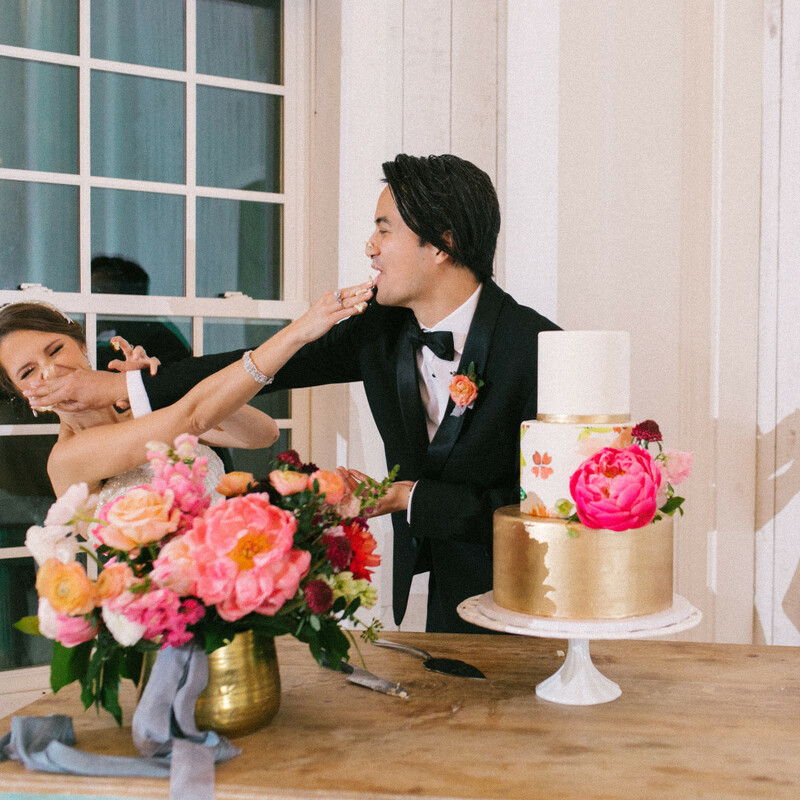 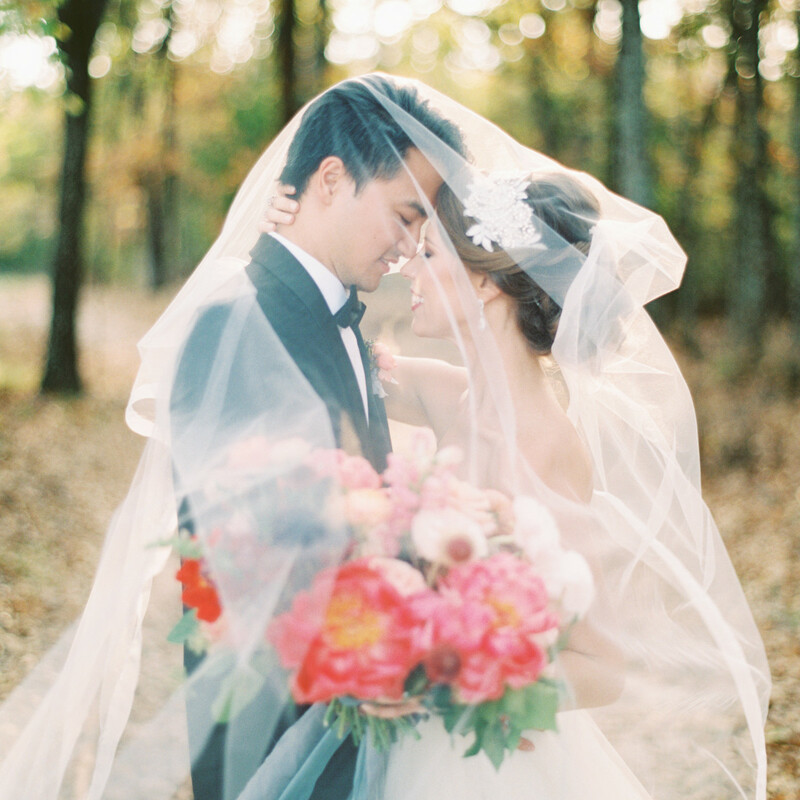 From their florist to their baker and videographer, Smith and Pham agree that each vendor was instrumental in making their wedding day dreams a reality. 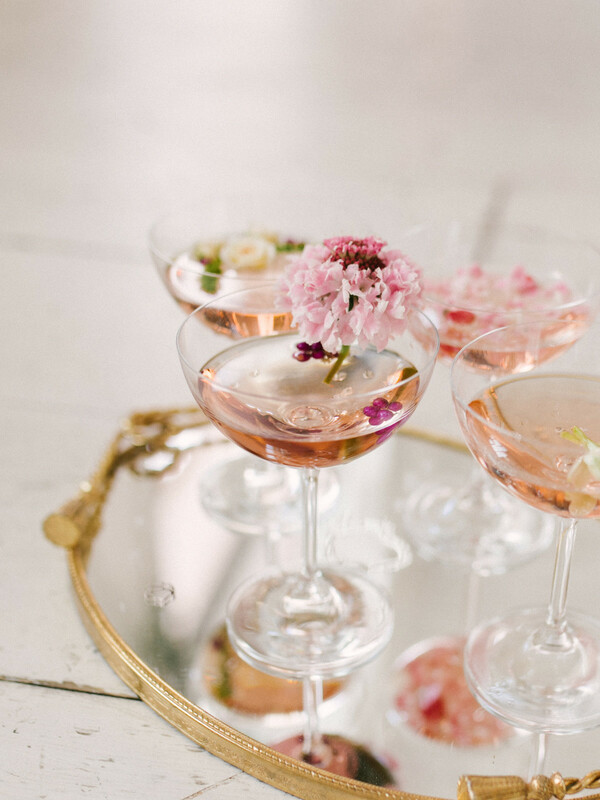 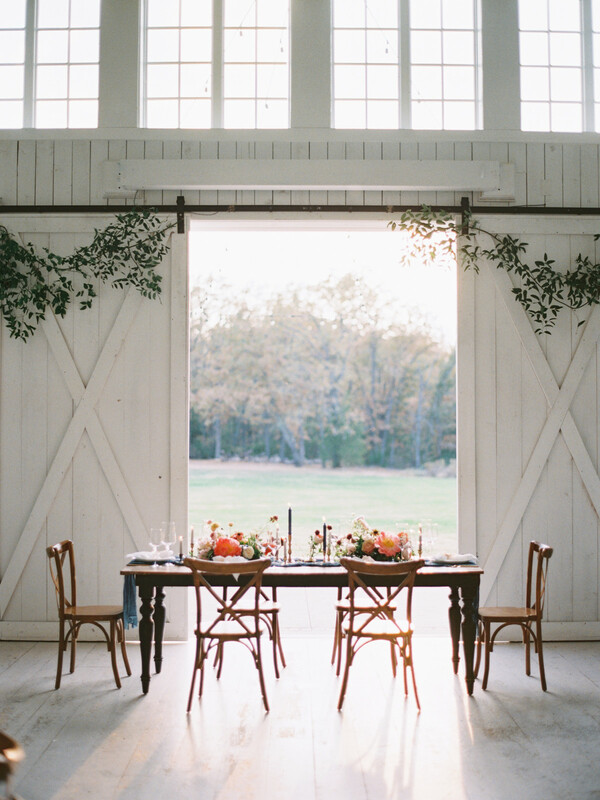 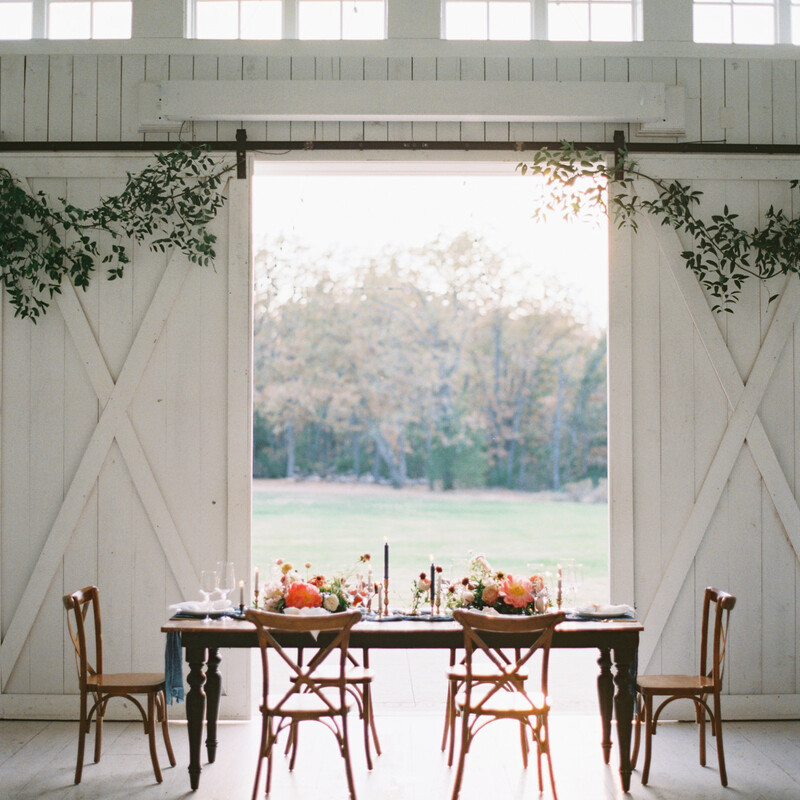 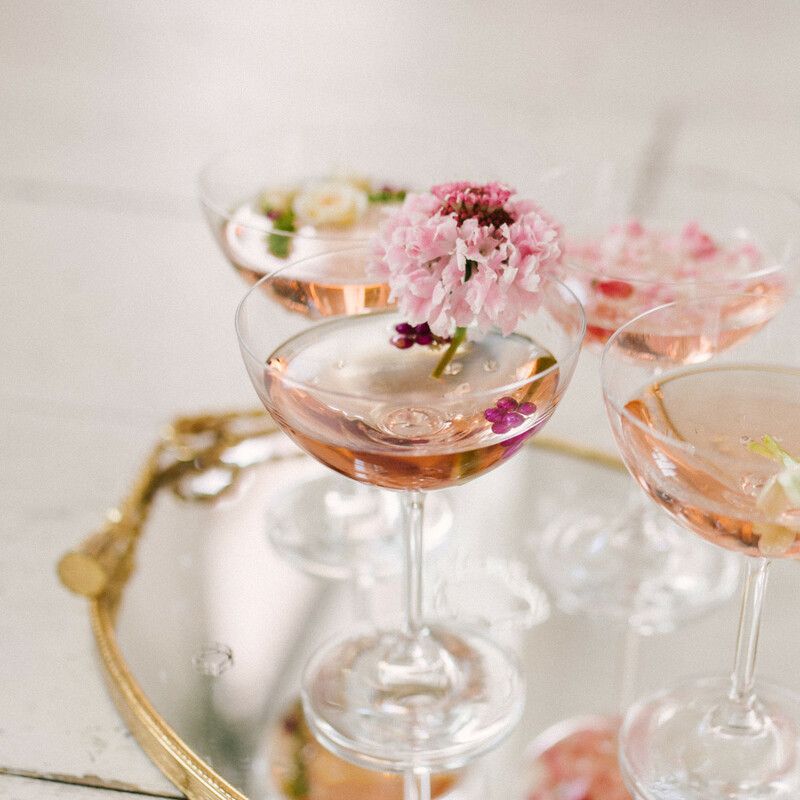 Planner and stylist: Silver Linings Events & Co.